Are you among the millions trying to lose weight with the help of an appetite suppressant? In that case, you would have certainly heard of phentermine. It is a popular drug taken for managing obesity. Phentermine stimulates the hypothalamus in the brain and affects some neurotransmitters. The result is a decrease in appetite; the suppressant works with the neurotransmitters present in the brain. Once you take phentermine, the drug tells the bundles of neurons to release neurotransmitters. The specific neurotransmitters released on taking phentermine are adrenaline, noradrenalin and dopamine. They check signals of hunger and prevent the brain from getting the message that you are hungry. 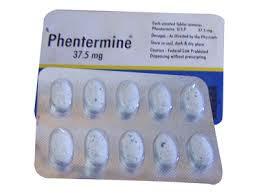 Phentermine belongs to a class of medicines known as anorectics. The drug is prescribed along with exercise and diet to treat overweight people suffering from diabetes, high BP, and cholesterol. Phentermine, as it is simply known, is actually phentermine hydrochloride or phentermine HCL. The drug got an FDA approval back in 1959. It was used in combination with Fenfluramine in the 70s. However, in the late 90s, the FDA sought withdrawal of Fenfluramine. Phentermine continued to be used with FDA approval. It was also used along with Dexfenfluramine before the FDA ordered the drug to be withdrawn. You are allergic to one of the ingredients found in the weight-loss drug. You suffer from high BP or a cardiovascular problem. You have a thyroid-related disorder or suffer from glaucoma. You should not take phentermine if you are pregnant as losing weight can harm the fetus. You are a nursing mother, as the drug could pass on to the baby through milk. Phentermine may also react with any other medications you might be taking, which could prove to be harmful. If you took a monoamine oxidase (MAO) inhibitor 14 days before consuming a dose of phentermine, it could react with the drug. The MAO inhibitors that you need to steer clear of when you are taking phentermine include phenelzine, selegiline, and isocarboxazid, among others. You should keep your doctor informed about all the medications you take including oral diabetes tablets, insulin, BP pills and antidepressants. 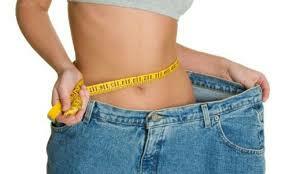 Phentermine certainly helps millions of people combat obesity. Apart from that, the drug also boosts metabolism and energy levels of the user. Following loss of weight, other health problems connected with obesity, including joint pain, mobility and sleep disorders also get solved automatically. Phentermine usage could have some side effects on some if its users. The side-effects include restlessness, hyperactivity, tremors, sleep disorders, dryness in the mouth, constipation or diarrhea, change in sexual urges, impotency and dizziness among others. Uncommon side effects could be shortness of breath, irregular heartbeat, a flutter in the chest, confusion, swollen feet or ankles, and mood swings. 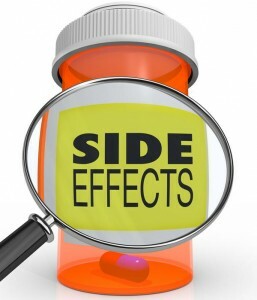 Other serious side effects can be a scarily high BP and seizures. Those who are prescribed phentermine should know that it is not safe to drive after you consume the drug as it could cause sleepiness or dizziness. Also, you should not treat phentermine as a miracle drug that is going to wipe away all your weight-related problems. You cannot skip your meals and substitute them with the drug. The drug works best when you follow a balanced diet program and an exercise schedule that works best for you. It helps, of course, to steer clear of junk food, sugary drinks or any other high-calorie food. Phentermine is however, not a license to get into unhealthy eating habits and poor sleep routines. You need to follow the advise and instructions given by your doctor to get the best results for losing weight with phentermine. The weight loss industry as it stands is a multimillion dollar industry that is growing by the year. It is its own branch of the healthcare industry and annually, Americans spend close to $60 billion on weight loss. Weight loss pills amount to over $3 billion a year. That simply means there is a literal flood of pills and 'magic methods' to lose weight. In most cases, pill makers and adverts that are used to sell them don't go into the specifics of how all that fat is melted away. In some cases, they are meal replacements, but that is not really pleasant. How many of those looking to lose weight can take a few pills and control their eating. 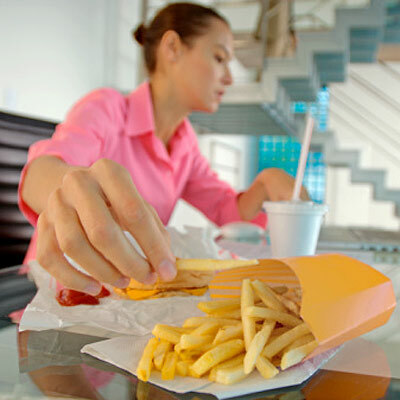 It is no secret that staying away from junk food is no easy task. Another invasive method that is gaining traction is surgically reducing the capacity of the stomach. While that seems like a good idea, it is an actual surgery and that makes it a no-go for most people. What is mentioned here is but a scratch on the surface of the industry. There are numerous new, novel ways in which scientists are attempting to help people lose weight. Apart from a healthy amount of weight loss, which is essential, there is now a focus on looking good apart from just looking slim. So that is a whole new industry all together. The largest chunk of money spent however, is not on developing the drugs. Most of the money is spent on marketing and bringing the drug to the end user. When you think of the $60 billion spent on weight loss, it seems like a lot of money, but the fast food industry alone is worth $300 billion. That is 5 times larger! Phentermine belongs to a class of drugs that are psycho-stimulants. That means it works on your perception and is closely related to amphetamines. What it does is simply put off your appetite. It dulls your need for food, it works not by burning fat or modifying your metabolic activity. It seems like a novel idea and might have the same effect as the surgery to reduce the size of the stomach, but from a whole new angle. The pill is a prescription drug meaning it is rarely available over the counter. It needs to be carefully dosed and is typically used only in some cases. Phentermine is normally prescribed for people who have a typically larger BMI as opposed to those who are simply on the heavier side trying to shed a few pounds. It is used for short term weight loss to help morbidly obese people. In the USA alone, some estimates put 115 million people over the age of 20 are classified as being overweight and obese. So it is a nationwide problem and this pill could be used in many cases to help patients control their eating. In the weight loss industry, this drug is classified as an anorectic, meaning it cuts off the user's appetite. Anorectic can be explained as being close to anorexia, or something that triggers it. Anorexia as it well known is the medical condition where the patient develops an aversion to food and begin to rapidly lose weight as a result. Phentermine works in a similar way, it induces a certain aversion to food. While it may not make the user completely averse to food, it can reduce the overall appetite of the person. In the same way amphetamines work, it modifies the way the mind perceives certain things. In this case, the drug is engineered to make the user feel full sooner. If you are taking the pill, you will not want to eat as much as normally do and your need for food or hunger gets satisfied quite easily. Obesity, as it is an issue that is not just centered around one thing. It is a multi-centric issue. Weight gain can be attributed to a person's emotional state, stress levels, amount of physical activity, and food intake. In many cases, obese people may not even be eating as much, but they seemingly get fatter. So not everything is centered only around eating. There is a popular notion that attempts to break down the weight loss issue into a simple equation. The amount of calories eaten v the number of calories used in a day, if amount of usage is higher, weight loss happens, if the amount eaten is higher, it is stored in the body. That seems simple enough and makes a lot of sense, but that is not the whole picture. First, it is not easy to accurately predict and calculate how much energy is eaten and used. Also, not all the food not used gets stored. The body is just not that simple. The way in which the body makes use or stores energy is a complex chain reaction that works differently in different settings. What you can be sure of though is that only what is eaten can be converted to energy or turned into fat. So the intake is important. What needs to be mastered, however, is how the body responds to food. Simple calorie counting will do nothing for weight loss if the behavioral aspect is not modified. Even if you know exactly how a certain type of food works in your body, just that knowledge will do you no good. It is not possible to count every calorie you eat, and for how long is that going to work? That is why fad diets seldom work. There is no umbrella cure for obesity as each case is different and unique in its own way. Also, it is not possible for obese people to suddenly get up and change a lifestyle. It takes a lot of time and continual effort. The same way obesity is a multi-centric issue, weight loss is also similar in that there is not just one thing that can help you lose weight. You need to pair the reduced calorie intake with exercise, healthy habits, and reduced stress. How though can Phentermine help in this situation? For those who can't help or those who are simply unable to control their eating habits and tend to eat a lot food, cutting off their intake right away is not possible. That is why most crash diets and fad diets simply do not work. You are left feeling miserable and craving for more food. 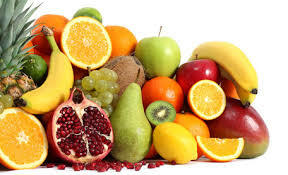 Right after the diet is over, you are more likely gorge on everything you can find than actively continue. Like mentioned earlier, eating can be a psychological action, for many, eating is a form of comfort. Also, certain foods make you feel physically better. A chocolate filled doughnut can make you feel things, it has been found spicy food can give you physical pleasure. It is not easy to put down a 'royale with cheese' and pick up a kale and broccoli salad right away. That is where Phentermine plays a role. It deals with brain function and it cuts off appetite so you just don't feel like eating. When your attachment to food becomes an aversion, the habit of drawing comfort from it will also be nullified. Apart from doing this, the drug can also reduce the body's absorption of fat and starch by the body on a smaller scale. It interferes with the metabolization of food eaten. The two tier effect of the drug makes it doubly effective. The main reason as to why the drug is a schedule IV controlled substance under the Convention on Psychotropic Substances in the USA. Only your doctor can prescribe it and dosage has to be kept. It is not advisable for you to self prescribe this drug. The drug is absorbed into the body readily after ingestion. It is to be used as a short term, for a few weeks at most, as a way to reduce the calorie intake of the user. It is a sympathomimetic drug. That means it mimics actions of the nervous system. As the name suggests, it works on the sympathetic nervous system. The actions of the sympathetic nervous system (SNS) are the opposite of the actions of the parasympathetic nervous system (PNS). The PNS deals with the 'feed and breed' activity, while the SNS deals primarily with 'fright and flight'. The significance of this response is that the body will reject the idea of eating when SNS is stimulated. The drug releases neurotransmitters called catecholamines (norepinephrine and dopamine) and maintain it at a high level as long as it is active. At such high levels, it suppresses hunger signals and urges to eat along with the mentioned effects. While this is done, it also restricts the reuptake of dopamine, serotonin, and noradrenaline by reversing the reuptake transmitters. As an indirect action it can also affect the levels of leptin the brain. 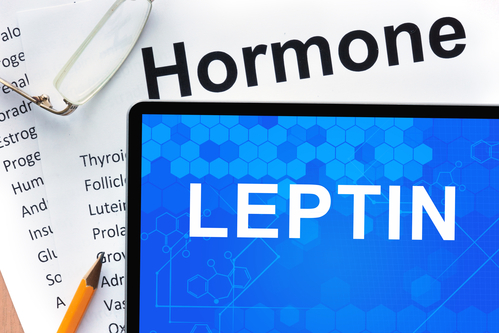 Leptin is the transmitter that when elevated, can bring about feelings of satiety, or the full feeling after eating a hearty meal in the user. This effect, however, is under research and is still being proven. Another theory is that it can halt a catecholamine chemical called neuropeptide Y. It is responsible for the initiation of the urge to eat, triggers fat storage, and lowers the expenditure of energy. 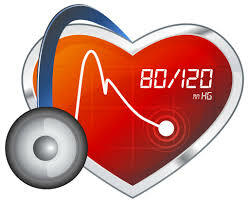 Another way in which it works is by increasing the blood pressure, it makes the body alert and ready for action. When the body enters this mode, it is not ready for food and eating becomes less interesting to the user. Another way in which Phentermine takes effect is by releasing adrenalin and epinephrin outside the brain, this actively breaks down stored fats in the body. The drug works as an inhibitor whose function is to transport serotonin. It does this this to regulate serotonergic signaling by transporting serotonin molecules to the pre-synaptic terminal from the synaptic cleft. By doing this, it plays an important role in regulating the available serotonin to other receptors in other serotonergic systems. As an amine transporter, it cuts off the effect of dopamine into presynaptic terminals and it is done through a strong sodium-dependent reuptake. Phentermine is an oxidizer and because of this, it can be responsible for the metabolism of a number of environmental chemicals and drugs. Some of them include tricyclic antidepressants, adrenoceptor antagonists, and antiarrhythmics to name a few. The above mentioned list is not complete and not the only interactions of this drug from a biochemical perspective. Click ehre for a full list. There are a number of ways in which Phentermine works and reacts in relation to other drugs in the market. It makes sense for you to be aware of them. While your doctor will speak with and get to know more about your other medication before prescribing Phentermine in its many forms to you, this serves to be nothing more than reference. Also, the below list is not complete, there are many more, in fact, hundreds of tests were done on Phentermine and its interactions with other drugs. For a more conclusive and exhaustive list, click here. While the list is in no way conclusive, it can give you a general idea of how Phentermine interacts with other drugs. If you are taking any of the above mentioned medication, or that might be affected by Phentermine, make sure you speak to your doctor about it and get it clarified. If you are regularly handling heavy machinery, drive a lot, or are otherwise engaged in activity that requires you to show full concentration and coordination, you might want to get used to the way the drug works before you jump into work or school. Never take more than what is prescribed, also, do not stop taking medicines that may interact with Phentermine without first consulting your doctor. That includes even simple vitamins or some sort of herbal medicine that you might be taking. It is also not advisable to intake too much caffeine while using Phentermine. Users are generally discouraged from consuming too much coffee and other food like it. As far as food itself goes, there seems to be little restrictions otherwise. Alcohol, however needs to be avoided as much as possible. According to drugs.com, the effect is moderate, but it is advised to avoid mixing the two. Alcohol intake while under a Phentermine course can increase or exacerbate some side effects that is commonly associated with it. It includes heart conditions like blood pressure, increased heart rate, and chest pain. Nervous system effects are also notable. Changes in concentration levels, depression, drowsiness, dizziness, and related conditions is likely to be elevated. There are around 15 disease interactions that are listed with Phentermine and they are placed under two subdivisions- major effect and moderate effect. The diseases listed under major have to be closely monitored as they can have an impact on quality of life. In certain cases, you may be better off even not taking the Phentermine, but that decision should be left to the doctor. The ones marked moderate are usually ones that can be managed depending how and which parts of the body are affected. The disease interactions below take Phentermine as being a CNS stimulant as well as an amphetamine. More information can be found here. Since Phentermine is closely related to amphetamines, any disease that has a negative effect with them can be expected to react in a similar manner with Phentermine. If you are suffering from, or showing symptoms of conditions like hypertension, both severe and moderate, as well as hyperthyroidism, arteriosclerosis, or any like disease, Phentermine might cause them to exacerbate. It has been found that results can range from elevated blood pressure to palpitation, tachycardia, congestive heart failure or even sudden death. Patients with cardiovascular diseases should use amphetamine based drugs cautiously. Phentermine is capable of triggering transient mydriasis so those with narrow angle glaucoma. Mydriasis is known to increase intraocular pressure, which can further damage and heighten the effects of glaucoma. People who suffer from narrow angles are particularly affected as Phentermine can provoke an attack of angle closure. CNS stimulants and amphetamines are not to be used with those who have anxiety and agitation issues as they can be aggravated. Behavior disturbance and thought related disorder related diseases are also heightened, especially with psychotic patients. As a general rule of thumb, CNS stimulants are worked on extensively by the liver. For patients with liver diseases where their hepatic functions are not fully functional may experience decreased plasma clearance and prolonged half life. The intake of Phentermine should be done accurately and cautiously for those with liver malfunctions as a result. Atomoxetine can also be the cause of severe liver injury. It is wise to go in for a lab test at the first sight of liver damage like jaundice or upper quadrant tenderness. As Phentermine is a CNS stimulant, those with the risk of seizures will face lowered levels in terms of convulsive thresholds. Patients with a history of seizures and abnormal EEG stand at a risk, and in many cases, treatment may have to be discontinued. Amphetamines have the potential for abuse. Habituation is always a risk when the usage is prolonged, that is why Phentermine is always a short term treatment. It is possible for the body to develop a resistance to the drug. It can also lead to psychological dependance and social dysfunction. The main working of Phentermine is to make you feel fuller for a longer time and curb your hunger. That, along with the other positive side effects that were mentioned in the above paragraphs make it sound like an almost wonder pill. It makes the body use up all the reserve fat while not creating any new reserves. While it seems like the perfect drug to use, you really need to know the whole story before you get on it, or asking your doctor about it. There is, however, a catch. Even if the drug works exactly in the way you need it to work, there are a number of things that you have to keep in mind about its usage. It is not a free pass to eat anything and as much as you want at any given time. It will work to make you eat less, but you should still be eating healthy. The best way to use Phentermine is to club it with an exercise regime. 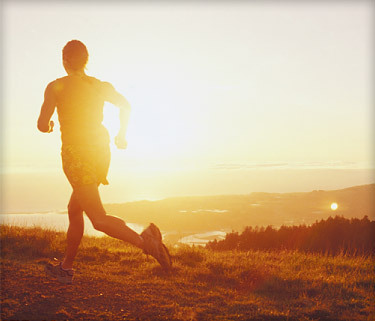 Make your lifestyle a lot more active. Phentermine is a short term drug that should put you on the track to weight loss, it is not a permanent pill that you will be taking everyday for the rest of your life. The drug is for use only for those who are unable to get expected results with exercise and diet alone, it is used as a way to get a springboard start on weight loss. It is never advisable to self prescribe this drug or extend the dosage. Always listen to your doctor and follow the instructions given properly for best results. Overdosing on Phentermine is not something you want to put your body through. While the drug in itself is highly effective, its effects can be made better. By that, we do not mean you take more pills. Always stick to the prescription, never go above it. Also, do not under dose yourself, the desired effects will not be there. How else can the drug's effects be maximized? One of the most common side effects of Phentermine is a dry mouth. That in itself should move you to drink more water. Apart from that, drinking a lot of water rids the body of what is colloquially known as water weight. If you are the sort of person that is not used to drinking a lot of water, the body tends to hoard water. By increasing your water intake, you are sending signals to your body that removes the need to store it. Also, Phentermine makes you feel full easily, so you might be confusing yourself that full feeling is a lack of thirst. Drink water constantly, stay hydrated, you are likely to lose weight faster this way. It has been said time and again that working out is the best way to lose weight. The combination of water and exercise will really help shed the pounds. Phentermine will help you not put on any more weight, but the responsibility of losing what you have stored up is on you. While it eventually will happen, if you want take the drug's effects to its maximum efficiency levels, you will have to work out. Unlike traditional working out where you have to really sweat it out to lose weight with results coming in slowly, Phentermine will accelerate the process and you can feel and see the effects within a few weeks. Once the fat comes off, you will be able to work out more easily and comfortably. Exercise will also vastly improve your mood. Phentermine can cause the user to feel low, or moody and physical activity will counter this feeling. Sleep is also something that will improve over time. If you are having disturbed sleep or are unable to feel rested in the morning, exercise will help you as it relieves stress and offers rest. The above write up is intended to be informational only. It is not, in any way designed to be or should be taken as a manual or as a diagnostic tool. Never take what is written here over the advice of your doctor. Never overdose, underdose, or change dosage without the advice of your doctor.